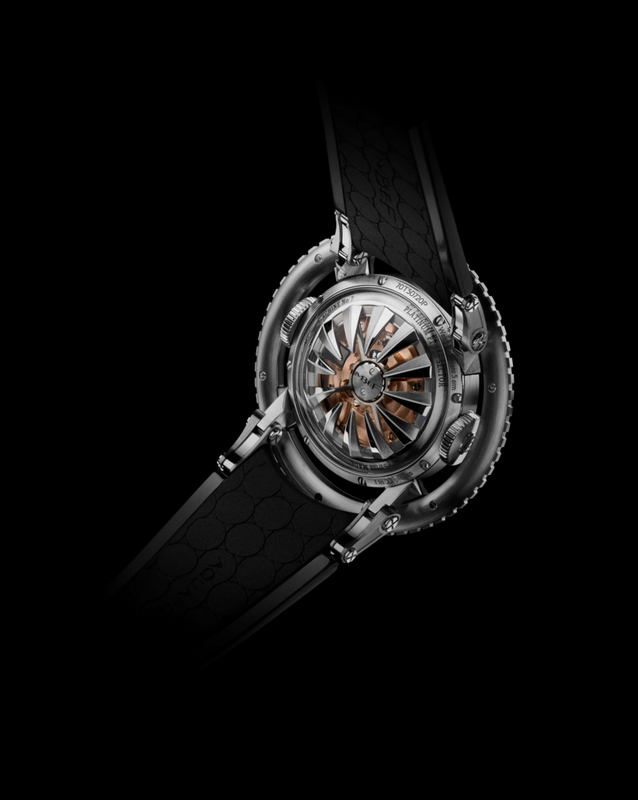 Just when you thought you’d seen everything, MB&F never fail to surprise us. 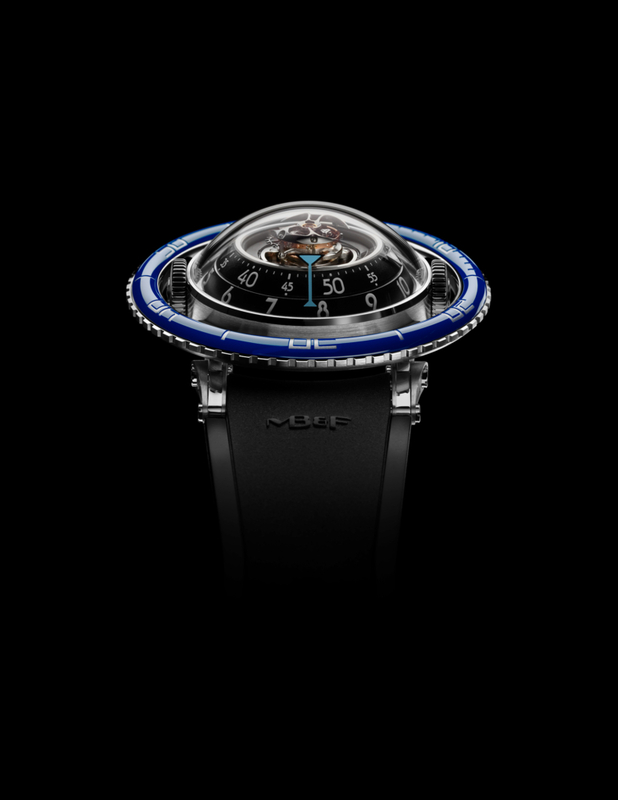 After pushing the boundaries of horological exploration by blasting into outer space (HM2, HM3, HM6), launching into the sky (HM4), and powering down the road and around the track (HM5, HMX, HM8), MB&F plunges into the water with Horological Machine No.7, aka HM7 Aquapod. 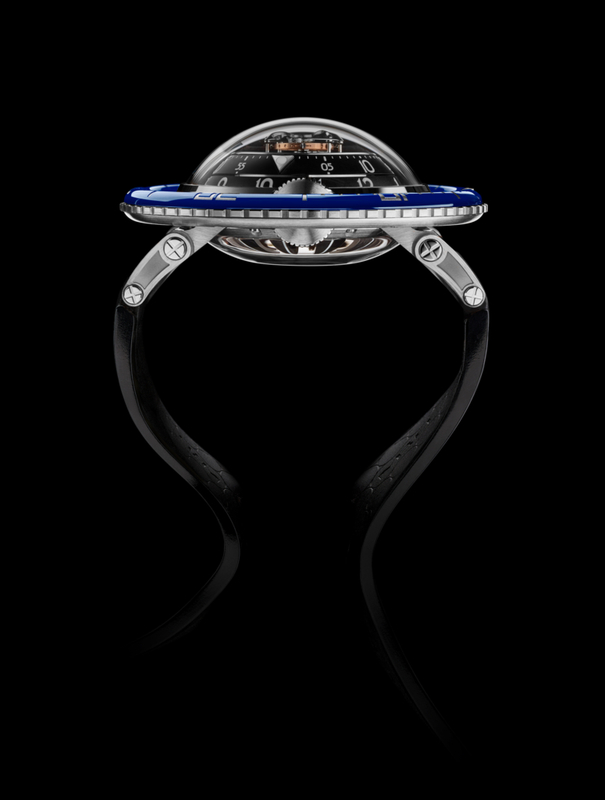 The organic jellyfish-inspired design of HM7 Aquapod is counter-balanced by the very mechanical horology within: a central flying tourbillon tops the concentric vertical movement architecture, with indications radiating out from the centre like ripples in a pond. 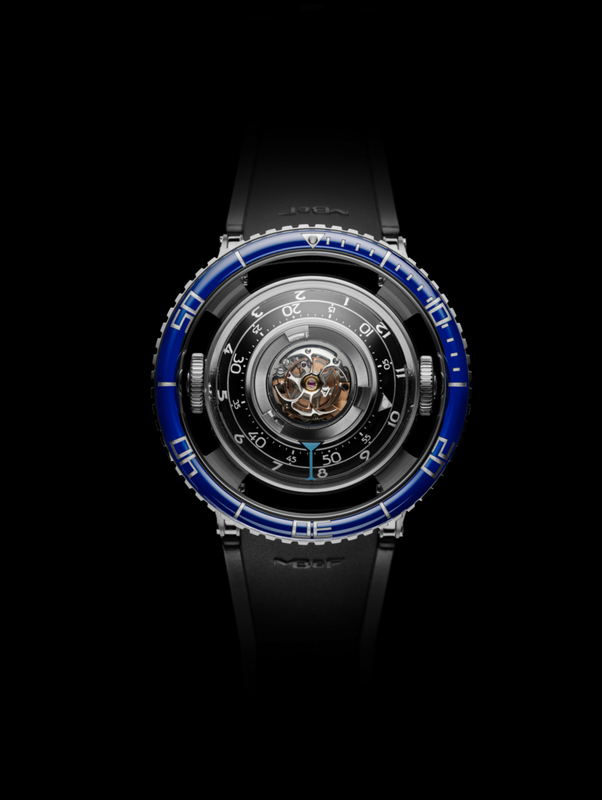 HM7 Aquapod began its gestation as a horological jellyfish, and the architecture of its Engine is appropriately biomorphic. 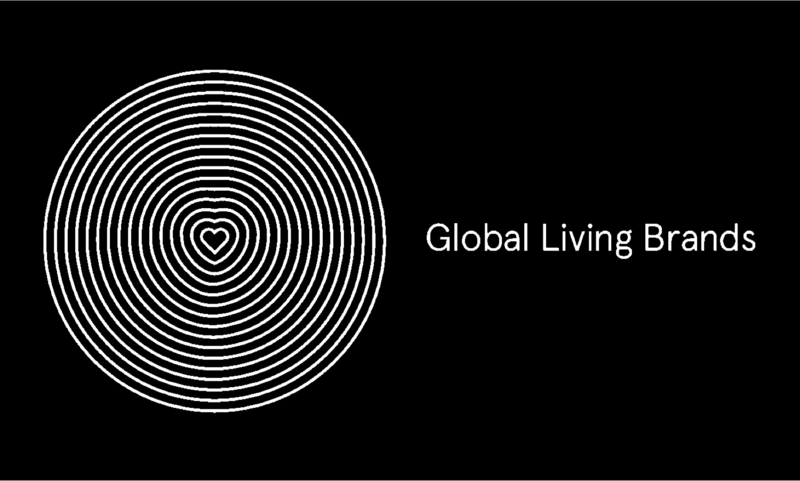 Jellyfish are radially symmetric, Aquapod is radially symmetric. 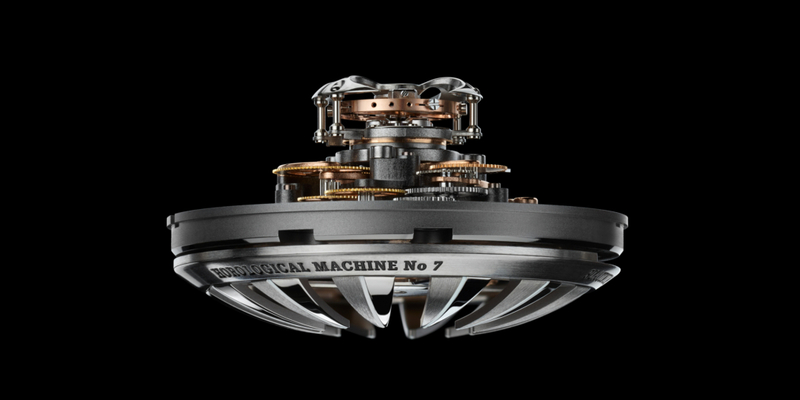 Where a jellyfish generates power from food caught in its tentacles, HM7 generates power from its tentacle-like automatic winding rotor. Where jellyfish have a radially symmetric ring of neurons for a brain, Aquapod has radially symmetric rings displaying hours and minutes. 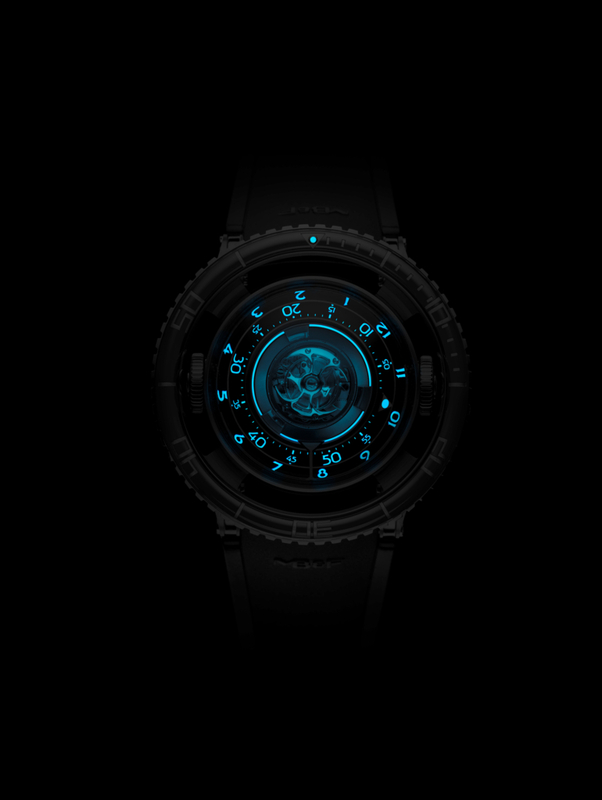 Where jellyfish have a hood or bell on top, HM7 Aquapod has an imposing flying tourbillon regulating the power generated by the rotor, and transforming it into the display of time. 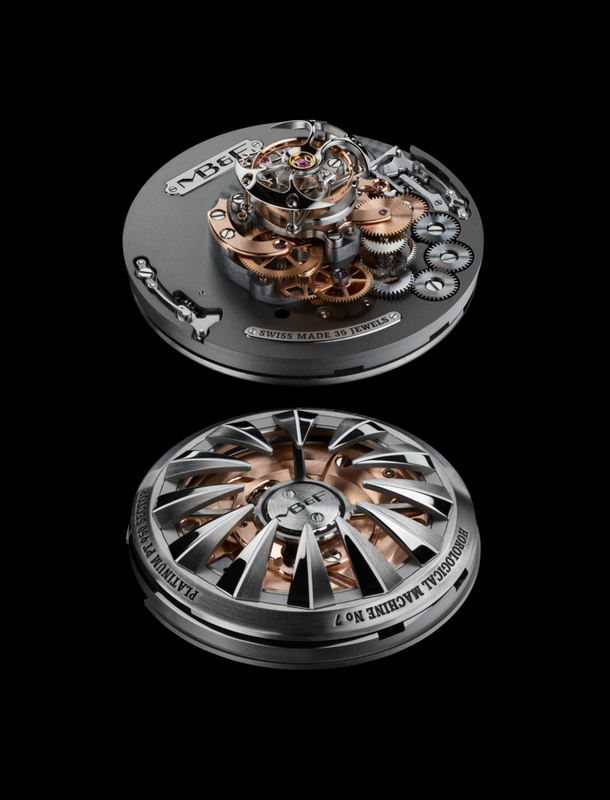 The winding rotor’s tentacles are crafted from a solid block of titanium; their very three-dimensional nature makes machining and finishing extremely challenging. 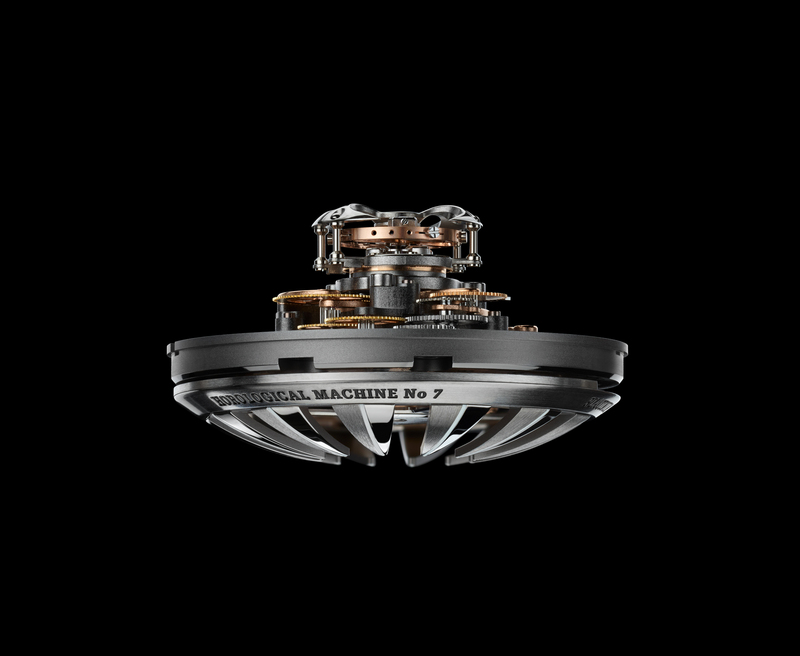 Underneath the tentacles, a platinum mass ensures powerful and efficient winding. And, like many jellyfish, HM7 glows in the dark. Of course HM7 glows in the dark – did you expect anything less? Here is the video to accompany the release of HM7.